The threat of identity theft is one that continues to become more prominent. Yet most people do not protect themselves against identity theft as adequately as they could. Here we go through some annual identity theft statistics, as well as some precautions that should be taken to prevent it from happening to you. Despite the efforts to reduce identity fraud, criminals managed to adapt and victimize two million more people in the last year. In the year 2016 alone, 15.4 million people in the United States were victims of identity theft, and that number is rising every year. The total loss in 2016 was $16 billion. Using a smart phone increases your risk. Using social media increases your risk by 46%. 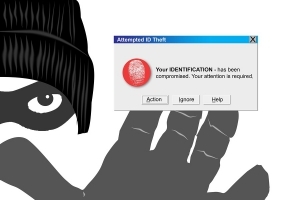 So what steps can you take to avoid becoming a victim of identity theft? Here are some useful tips. The key to minimizing the risk is storing needed documents carefully and destroying the ones you don’t need. Certain documents need to be retained for tax and other purposes. Short of that, you should be shredding documents regularly that you no longer need, especially those that have any kind of account number or identifying information. Also, shred any kind of financial solicitations you get in the mail, especially those credit card offers containing blank checks. 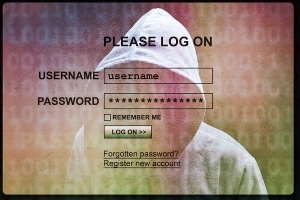 To keep from becoming a victim of ID theft, stay away from obvious passwords. Incorporate spaces, special characters, lowercase and uppercase letters. Try and use mnemonics or very personal things that are better than publicly known words. Using multiple passwords can also limit the damage a thief can do, especially for online banking accounts. Criminals have become increasingly adept at intercepting unsecured Wi-Fi-communications. 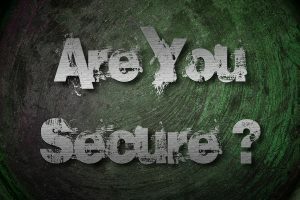 Online banking or anything related to finances on an unsecured Wi-Fi connection is at risk of allowing hackers access to that information. To protect yourself, set up a password on your home Wi-Fi network and save all of your banking and online shopping for the secure network. To avoid becoming a victim, read emails carefully before clicking on links or attachments. Make sure the sender is a trusted source or someone you know before clicking any links or giving away any financial information. Furthermore, make sure that any sites through which you are sharing any confidential data have a secure authentication by following https:// protocol. Instead of making a big, obvious purchase likely to trigger a fraud alert, thieves will charge small amounts under $20, hoping to remain undetected and keep the card number active as long as possible. Javelin’s 2016 Identity Fraud Study found that new account fraud, when thieves are able to establish new accounts in a victim’s name, has doubled since the nation has switched over to chip card technology (EMV). The report says new account fraud is harder to detect. Checking your credit card and debit card statements on a daily basis is a good way to limit the damage that fraudsters can do to your accounts. People can legally gather anything from your trash. This includes information that will lead them directly to your money. Things like pre-approved credit card offers, your address, social security number, telephone number, e-mail address, bank account information—are all avenues to your money if you don’t shred them before discarding them. There is no way to keep your trash 100% secure. In order to protect yourself, you should shred anything with identifying information before you put it an any trash can. Are You Taking Steps to Prevent Identity Theft? If you need help making sure you are protected from identity theft, call Shred Nations at 800-747-3365 or fill out the form to the right for a FREE no-obligations quote in minutes! We can help you securely destroy or store your confidential information, so that you can avoid the risk of identity theft.